Tropical Bottling Company offers commercial canning and copacking services to ready-to-drink (RTD) beverage makers throughout the United States. Our team has decades of industry experience and are the experts established brands and startups turn to for best recommendations on how to package and market their products, and we provide top-quality, commercial canning services to manufacturers of nearly any size. As a full-service beverage copacker, we have a complete service offering that will help you get your products on store shelves fast. From formula efficiency and beverage production to labeling, storage, custom palletizing and more, we can help you take your product from the initial conception to launch or help you meet growing supply demands. Our facility is built for commercial canning and is equipped to produce a wide range of RTD products including teas, sparkling juices, nectars, energy drinks, flavored coffees, flavored waters, carbonated beverages and more. We also hold several certifications to ensure quality control and assurance and have an on-site quality control manager who oversees every production run. Tropical Bottling Company has vast capabilities including hot and cold fill pasteurization, cold fill, HTST canning, and more. We gladly can products ranging in size from 7.4-16 ounces and offer regular, sleek and specialty cans. In addition, we offer reverse osmosis water treatment, multiple mixing technologies and more. For full capabilities, please read on. We are conveniently located minutes from Miami ports, which makes us an ideal partner for beverage makers interested in exporting their products overseas. Additionally, we have storage space for finished products until they are ready for shipment and offer custom palletizing options. This means beverage makers can save money by skipping double-handling charges and get their products to their destinations fast. Tropical Bottling Company is the only beverage copacker you need to turn to for all of your commercial canning needs. 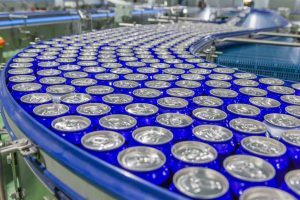 If you are looking for a beverage copacker in Florida, Georgia, Alabama, Mississippi, Louisiana or beyond who can handle the commercial canning of your RTD product, look no further than Tropical Bottling Company. We are the RTD beverage experts, and we look forward to helping you build your brand. Contact us today!